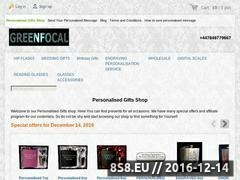 8 year/s ago 1858 Visit WebsiteBeautyBroken link? prescription glasses direct from the lab SpecsOnTheNet - prescription glasses and Sun-glasses from just Â£9.99 including free lenses. Save money and buy your glasses direct from the lab at SpecsOnTheNet, online since 2003.